Counting down for the brightest lighting ceremony of the year “Christmas tree lighting ceremony” will be held on Saturday, 1st December 2018 from 6.30 p.m. at the Rembrandt Hotel grand lobby. 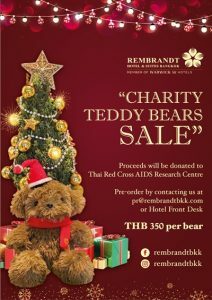 To kick off the festive season for a great cause, the Rembrandt Hotel and suites Bangkok joins hands with the Thai Red Cross AIDS Research Centre to celebrate World AIDS Day by launching the Rembrandt Teddy Bears Charity Campaign. 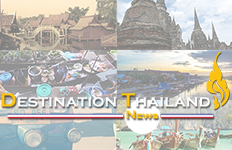 Rembrandt Hotel & Suites Bangkok devote much attention to multiple charitable causes. We are proud to announce the Teddy Bears Charity Campaign, which aims to highlight and support the population who suffer with illness from HIV&AIDS. 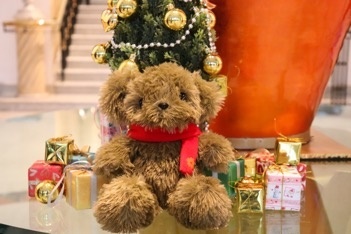 Customized Teddy Bears will be available for sale at THB 350 net only, from now until 7th January 2019. All profits from this sale will be donated to the Thai Red Cross AIDS Research Centre. Prof.Emeritus Dr.Praphan Phanuphak, Director of Thai Red Cross AIDS Research Centre will be a host for the opening ceremony on 1st December at 8 p.m, together with the Management team of Rembrandt Hotel and Suites Bangkok. An exciting evening awaits, with a live pianist to tune your mood into the festive season, Christmas carols by the children from The Fatima Centre of the Good Shepherd Sisters of Thailand, and a visit by Santa Claus. A selection of festive goodies will be on sale through the festive season from 1st December 2018 until 7th January 2019. 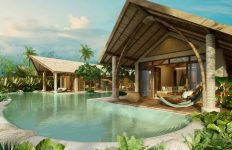 Their Mexican (Mexicano) and Italian (da Vinci) restaurants will be offering special deals on their New Years Eve packages on the day.